Sts write about their holidays. They can read aloud the text later. This downloadable teaching material is best suited for high school students and elementary school students at Elementary (A1) level. 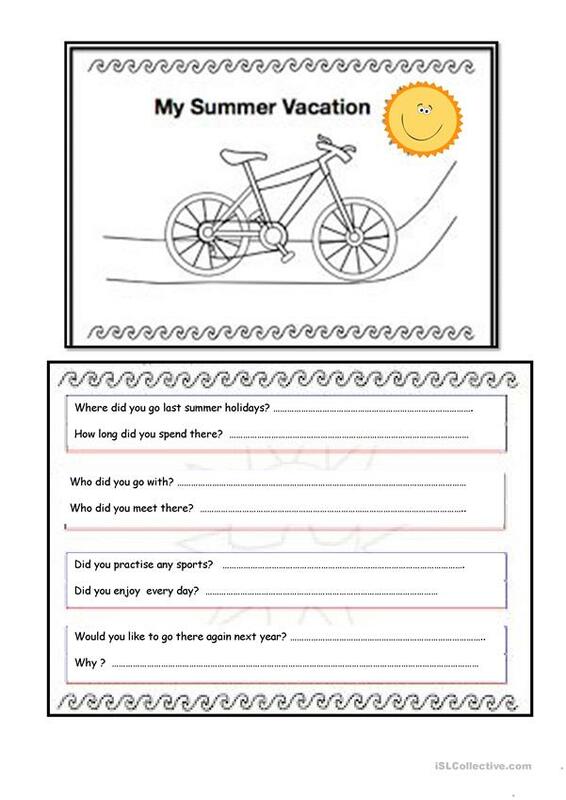 It is useful for improving your pupils' Speaking, Reading and Writing skills. It features the topic and words of Holidays.